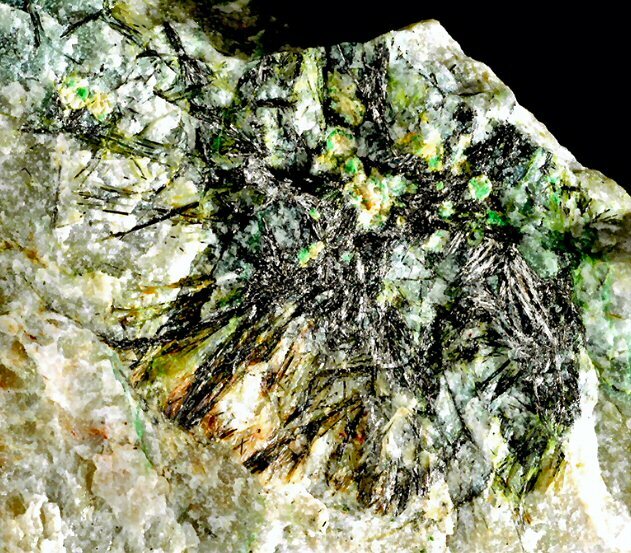 Comments: Pizgrischite crystals spray partially altered into malachite (green) and bismutite (yellow) in a fine-grained quartz matrix. (CanMin, v45:1229). Scale: Picture size 4 cm.